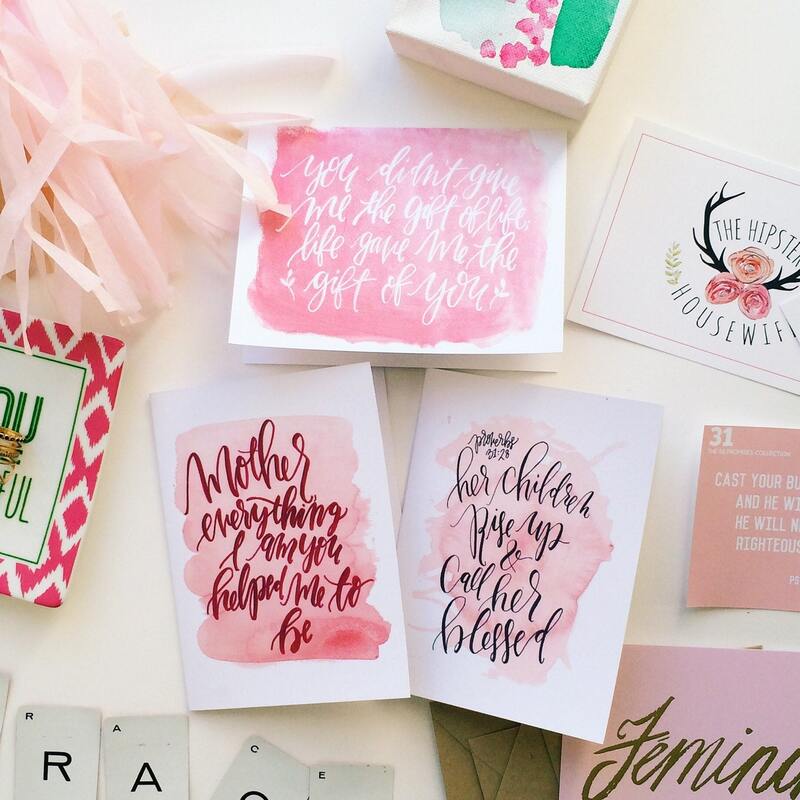 This lovely watercolor is part of our 'Spring Pink' Mother's day collection! 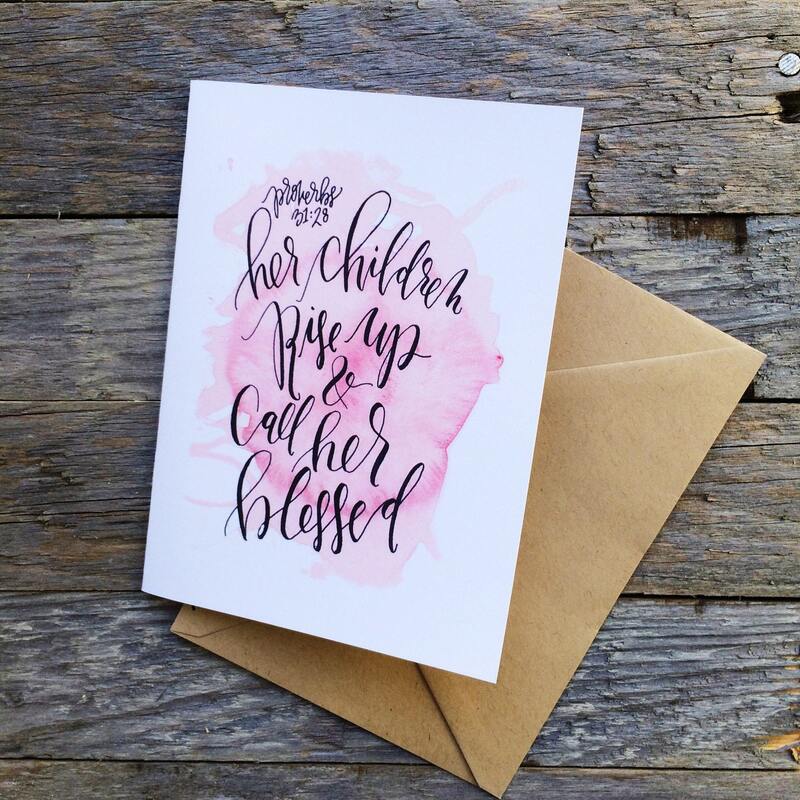 It features a verse from the book of Proverbs that reads 'Her children rise up and call her blessed.' 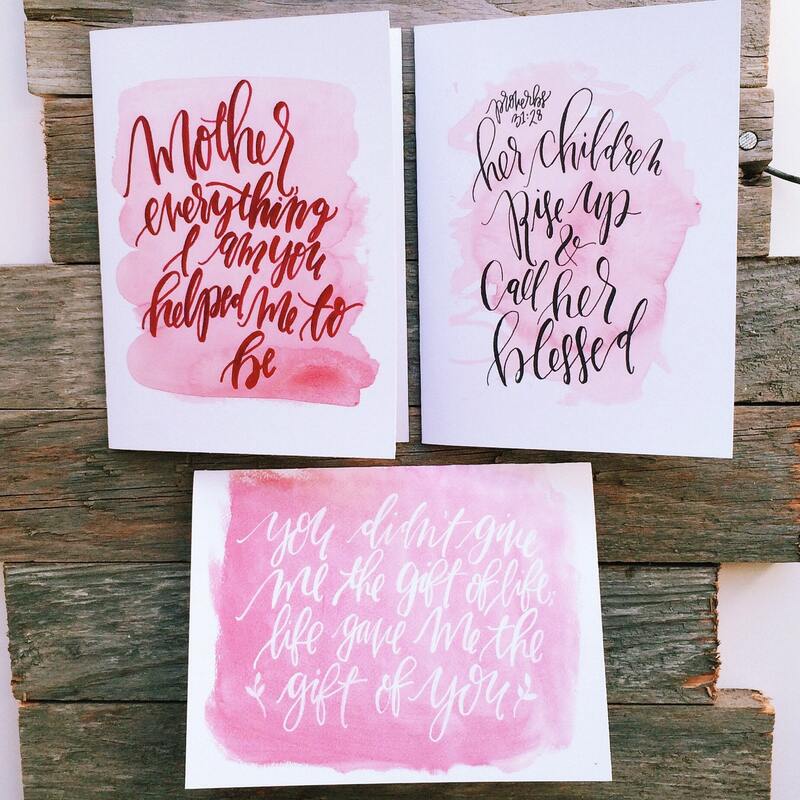 The perfect mother's day card for any Christian woman! Professionally printed on heavy weight card stock at my local print shop. Includes Kraft french point envelope and free scripture card. A6 sized.